If you poke around our site a bit, you might realize that we really love ancient stuff. 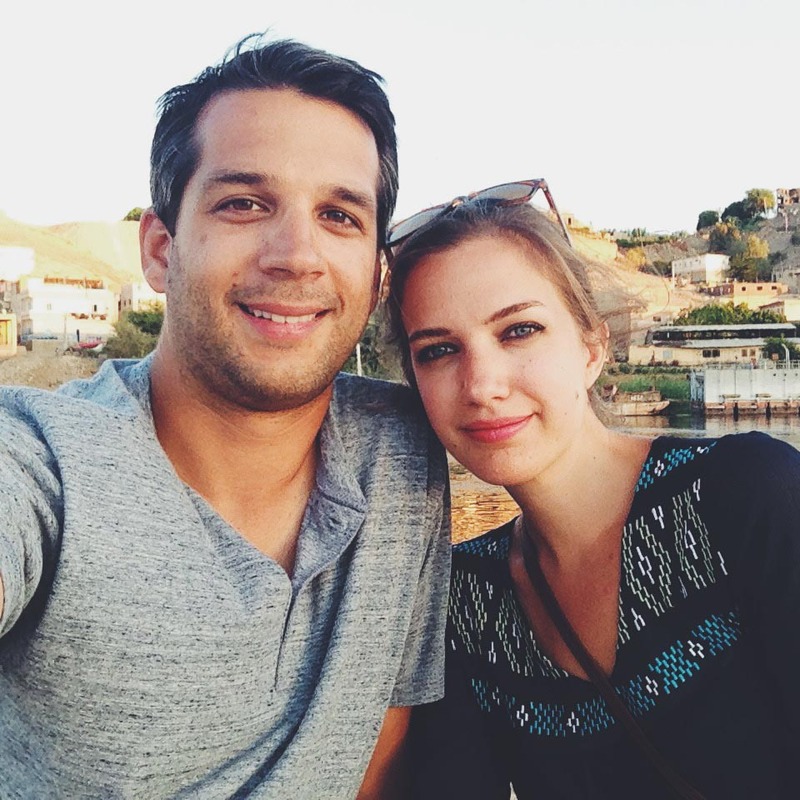 From Petra in Jordan, to Machu Picchu in Peru, several of our trips have been planned with the expressed desire to see these ancient sites and their monumental constructions. 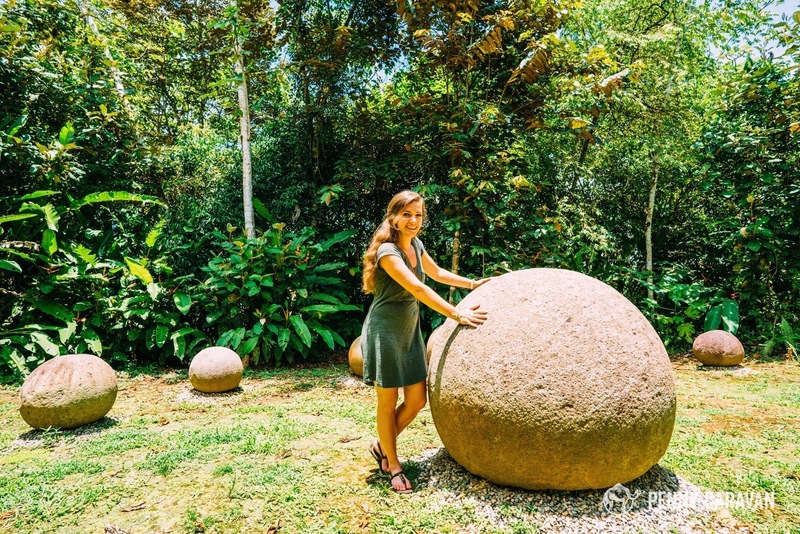 When thinking of Costa Rica, ancient sites don’t typically come to mind, but when we learned of its mysterious stone spheres we knew we had to work them into our itinerary. 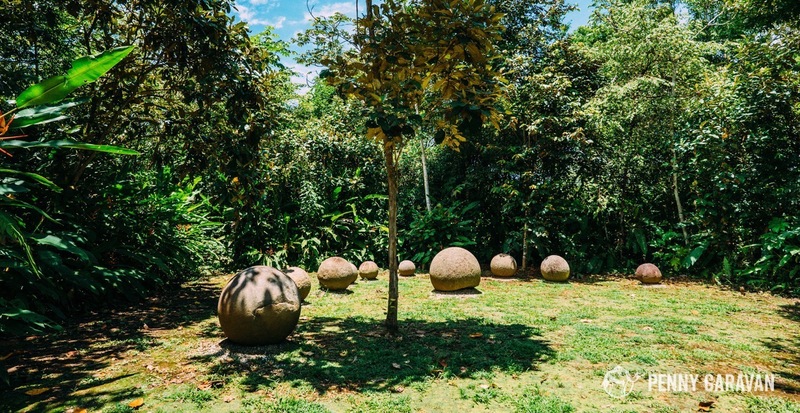 To date, some 300 stone spheres have been discovered in Costa Rica, mostly scattered across the southern part of the country near the Pacific Coast. Attributed to the indigenous Diquís culture, they were created between 800-1400 years ago, before the arrival of Spanish conquerors. Varying in size, they can be up to 6 feet (2m) in diameter, and the best ones are nearly perfectly spherical. Many have been moved from their original locations across the years, making study of their intended purpose difficult. 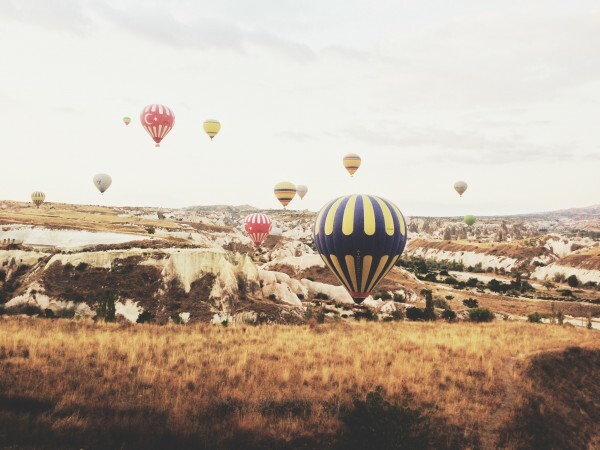 Researchers have identified some clusters that are astronomically aligned, suggesting they may have been used to map the sky and track the seasons. Others were placed in front of the tribal leaders homes to signify their power and authority. Whatever their purpose, the shape, size and position of these spheres still evokes awe and mystery. A grouping of stones at the Finca 6 archaeological site. A figure found at the site. lt’s as big as Iylana! 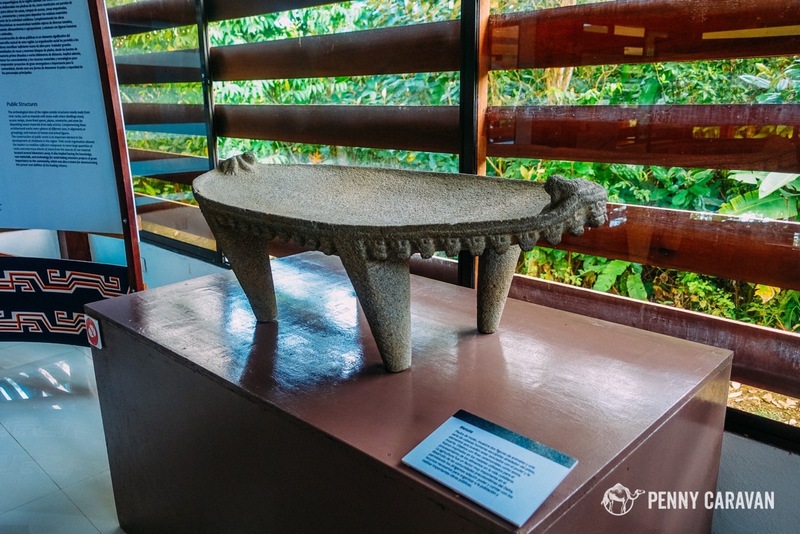 Artifacts held inside the museum at the Finca 6 Archaeological site. 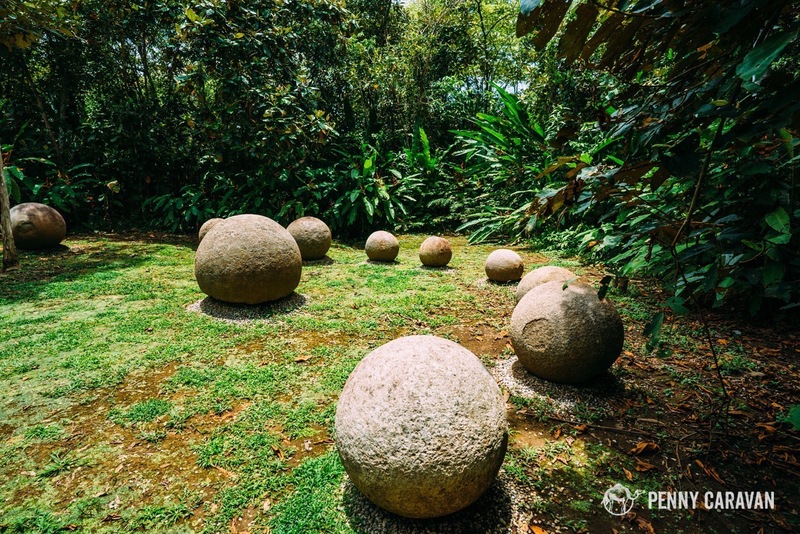 The best place to see the stone spheres is at the Finca 6 Archaeological Site near the small village of Palmar Sur. 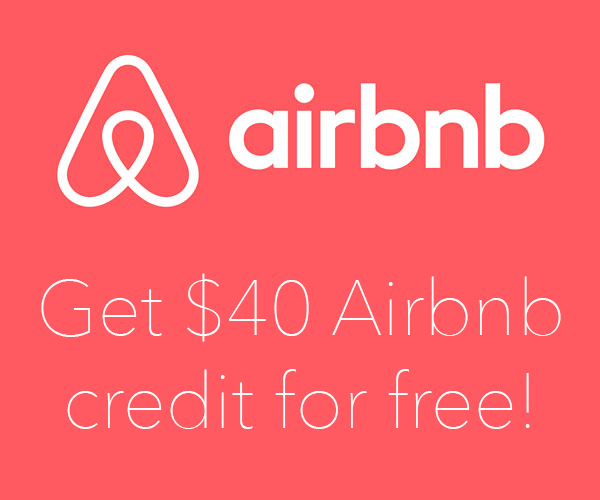 The site isn’t very big and won’t require more than an hour to see, so the four hour drive from San Jose makes the prospect of day tripping a big investment for such a short stay. 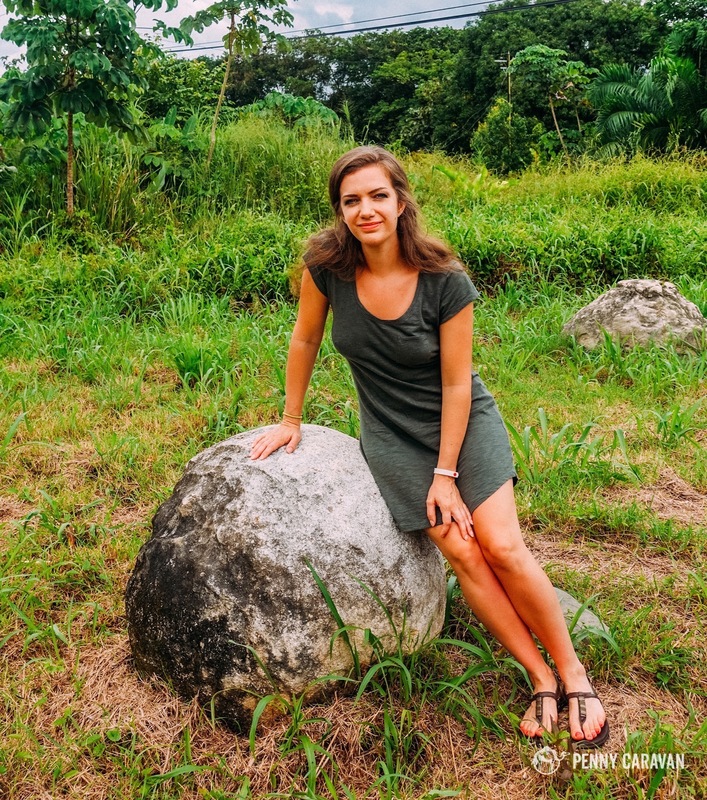 While crafting your Costa Rica itinerary, you may consider tacking it on if you go to Manuel Antonio National Park, which is what we opted to do. From there, it’s an hour and a half drive, so we left early to visit the stone spheres before turning back to San Jose. 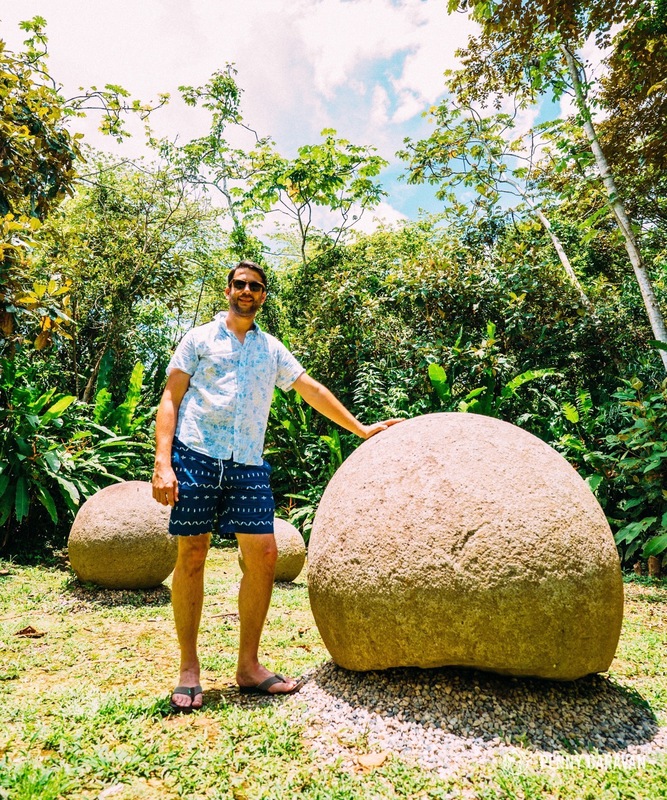 Alternatively, you could see a few of the stones in the national museum in San Jose, but in our opinion, seeing them in their natural setting is better. We found a grouping in an open field on the drive down to Palmar Sur. Many stones have been cracked open by people looking for treasure. Ancient stones on the side of the road. Some stones are scattered around Palmar Sur. These stones were strategically placed in the local park as decor. The Finca 6 Archaeological Site lies beyond Palmar Sur. To get there from Manuel Antonio, head southeast on Highway 34 until you get to Palmar Norte. From there turn south on Highway 2 and cross the Terraba River. Just past the bridge you’ll see a sign for Palmar Sur. Follow the road into town and continue on past it. You’ll pass many palm groves and may think you’ve gone too far and should turn back. 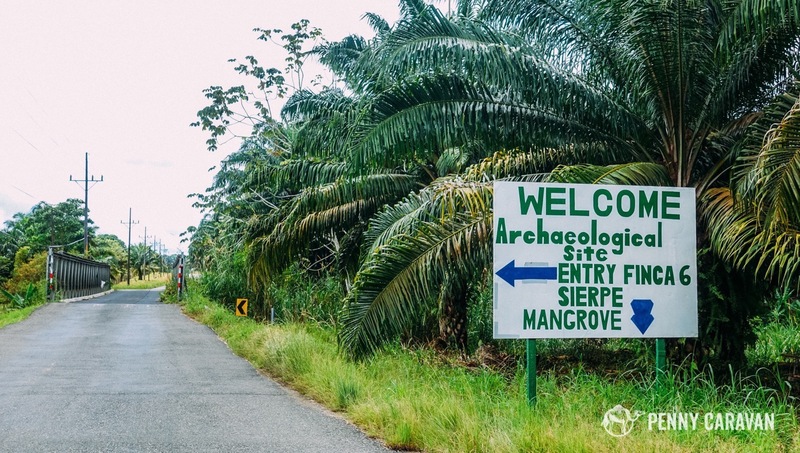 Keep going and you’ll eventually see the signs for Finca 6 Archaeological Site. You’ll pass some spheres along the way, both in the city park and on the side of the road, but save stopping for these until the way back. 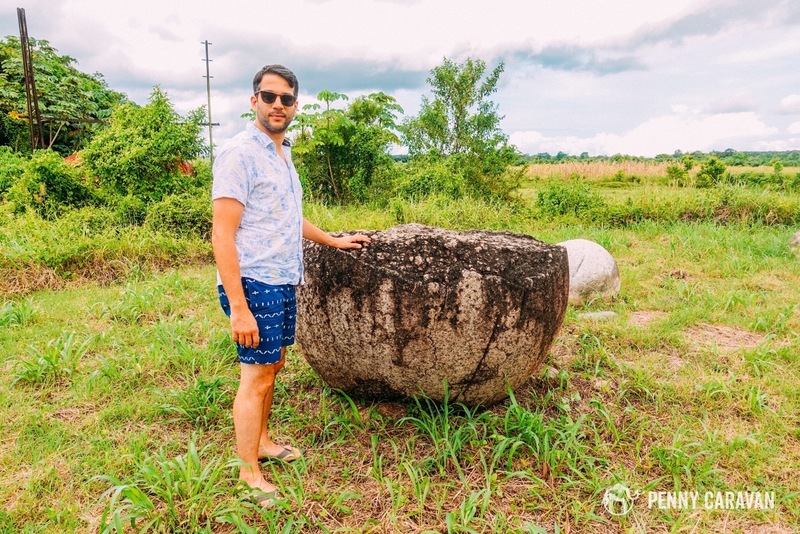 Best to get close to the spheres at the archaeological site first! 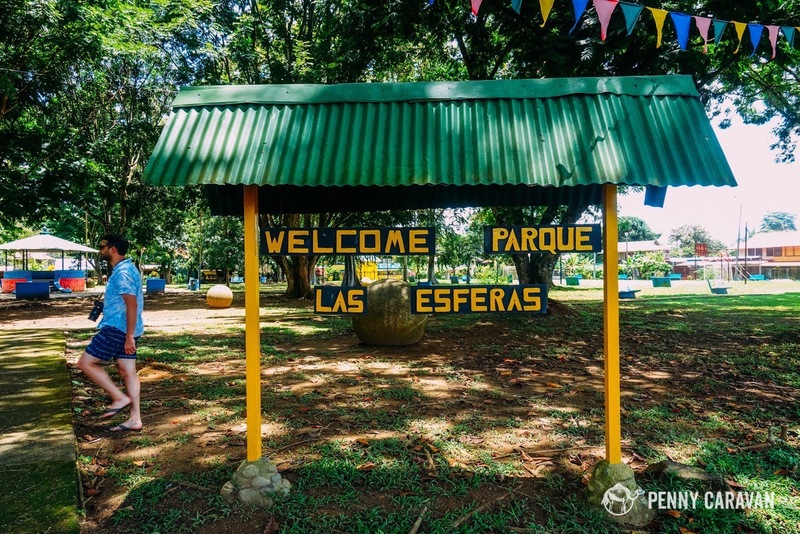 Entrance to the Finca 6 archaeological site. 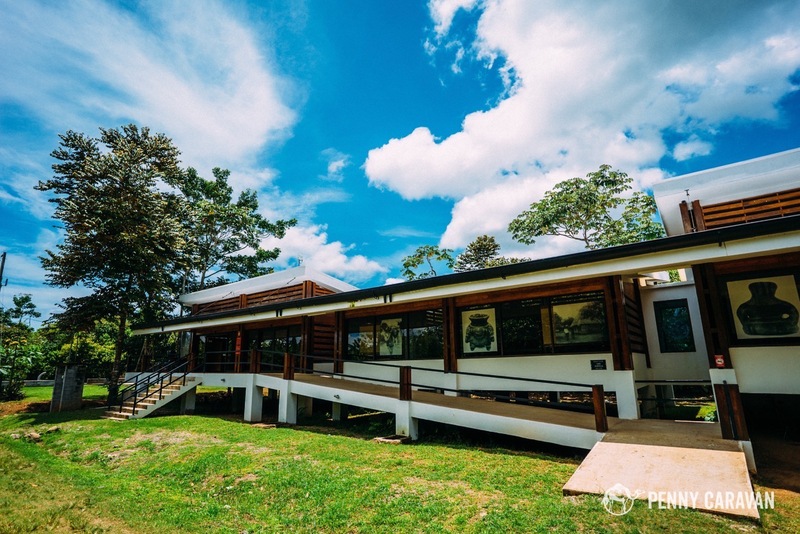 Finca 6 visitor center and museum. 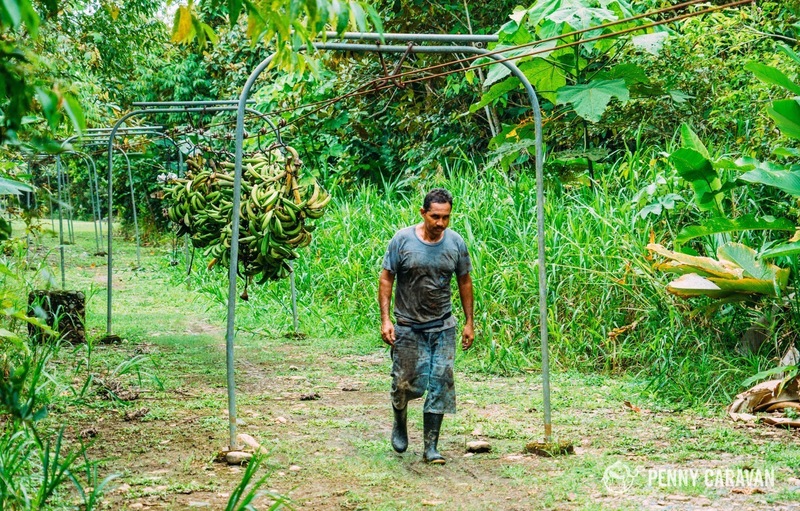 Turn into Finca 6 and follow a short road to the visitor center. Entrance into the site costs $6 ($4 with student ID). There is a small exhibit in the center with videos detailing the stones and the excavations done on sites in the area. Several pieces are on display, including a stone sphere in its original location. From there you can follow the paths around the site to see several clusters of stone spheres, some still unexcavated. 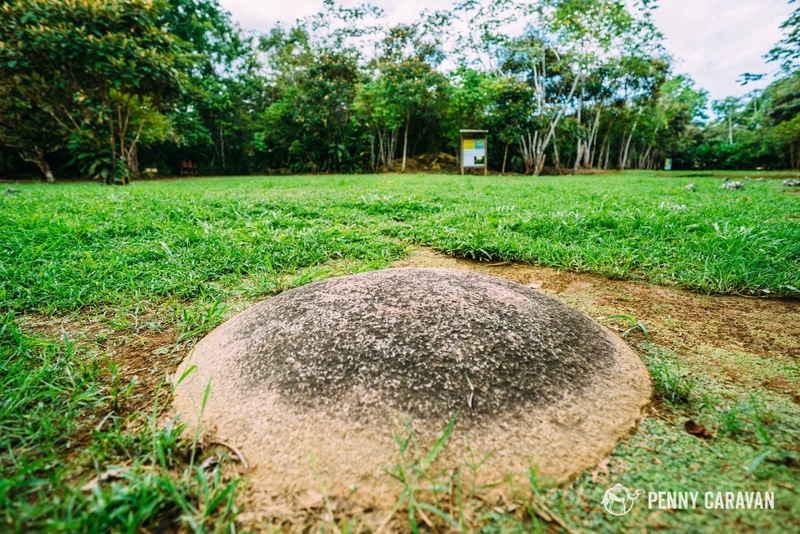 Besides the spheres, only scant traces of the Diquís civilization remain at the site. It’s hard to picture the skillfully carved stones standing along side the simple thatch huts that once inhabited the area. 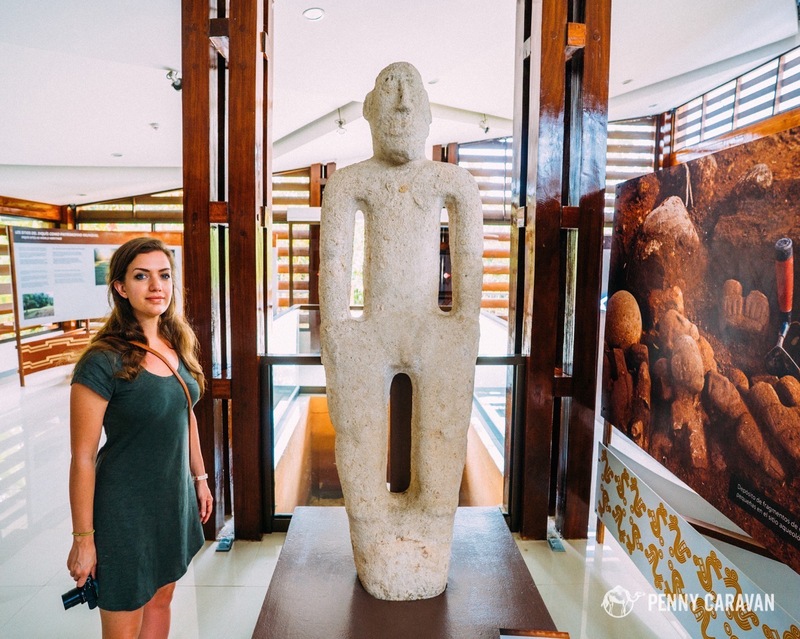 The visitors center highlights their craftsmanship with pottery and sculptures displayed, but beyond the spheres, they did not construct much in the way of permanent structures, making them that much more mysterious, and worthy of an expedition to behold. Some stones are still buried. The biggest grouping of stones at the site. A banana tram runs through the property! They range in size but can be up to 6.5′ diameter. Trying to connect with their energy! 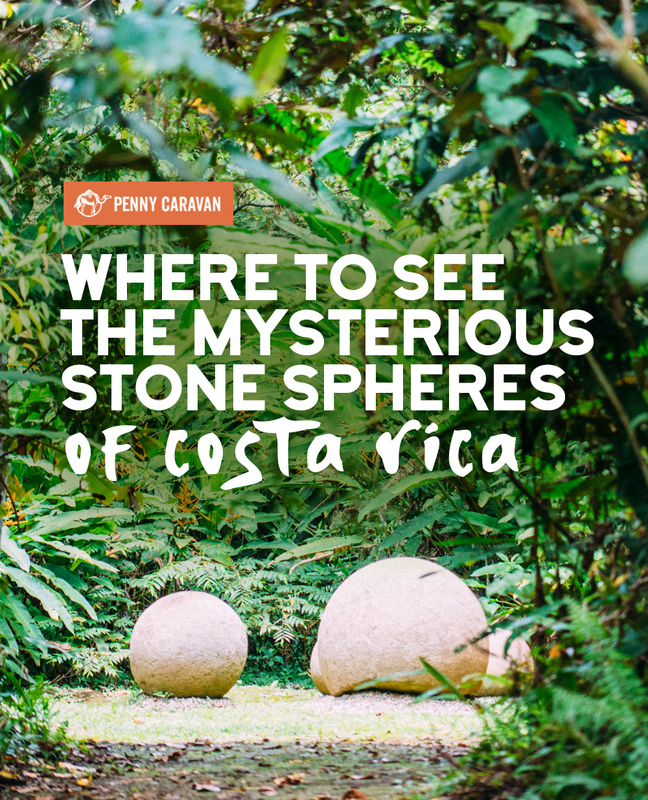 If you enjoy history with a touch of a mystery, then check out the stone spheres of Costa Rica! 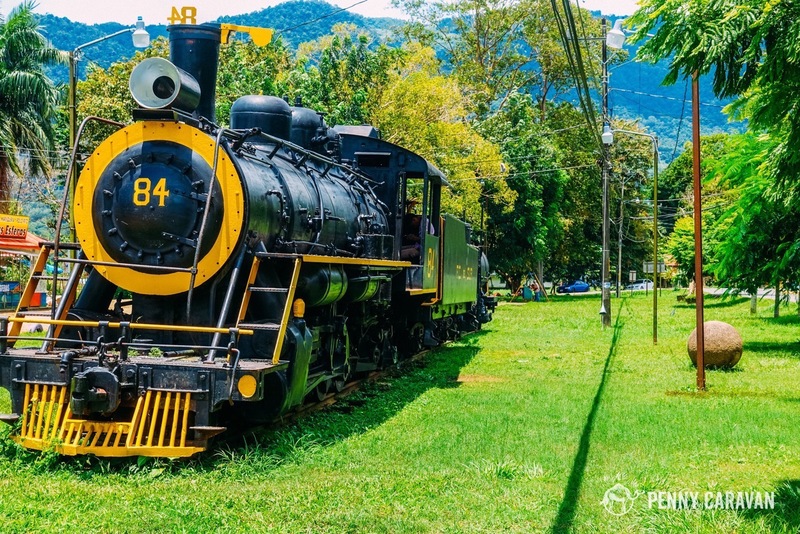 The site is a bit out of the way of typical Costa Rican itineraries so be sure to really plan it out before working it into your trip. Hopefully this post will serve as a useful guide and inspire you to see the mystery for yourself! The spheres are so interesting looking! I just had to check out your post to see what they were & how they were made. Very cool. By the way, love all the bright photos on your site.